As I write these words, it slowly becomes obvious for the entire world that on the territory of Eastern Ukraine fight no longer only armed by Moscow separatists and mercenaries but also regular Russian army. The future of the entire Central-East Europe is in question, perilous and uncertain. The destiny of Ukraine, which on its own has to face the military power of Russia, paints a gloomy picture. In this context, the Eastern Partnership has failed and instead of progressing Europeanisation we witness a war with unforeseen consequences. This initiative was, however, constructed for the times of peace and its creators did not take into consideration the possible military scenario in the region and so far-advanced unpredictability of Vladimir Putin. The Eastern Partnership was initiated by Sweden and Poland in the first decade of 21st century. 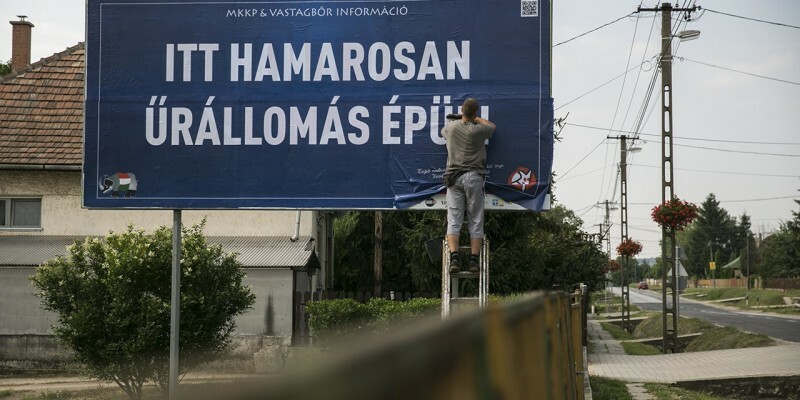 Its main aim was a creation – within the confines of European policy of Neighbourhood – mechanisms of a continuous cooperation between the European Community and Belarus, Ukraine, Moldova, Georgia, Azerbaijan and Armenia. The aim was clear: to consequently support pro-democratic changes in the neighbouring countries, develop economic relations and to bring these countries closer to the European Union. The events of 2014 – on the one hand signing of the Association Agreements by Georgia and Moldova, on the other, civic awakening and the tragic scenario of Ukraine later on – result in the need of summarizing the current EU policy towards the region and formulating crucial new strategic objectives in this matter. On December 3, 2008, after many years of diplomatic attempts, European Commission adopted a project of Eastern Partnership, which included creation of a free trade zone, signing of Association Agreements with the chosen countries, introduction of visa facilitation for the citizens of the Eastern Partnership members and increasing the financing of the program to €600 millions. On May 7, 2009, during European Council summit in Prague, the program of the EaP was officially adopted. It was considered a great success of the Swedish and Polish diplomacy. The basic objectives were defined as follows: political and economic integration, mobility, strengthened sectoral collaboration. The cooperation was to be based on clear principles and European values: promoting democracy and rule of law, respecting human rights and civil freedoms, creating and developing market economy in the countries of the region. Anti-authoritarian scope of the initiative directed towards non-democratic rule and ambitions of the Vladimir Putin’s crew in Russia, was another obvious objective. Diversification of the political and economic situation in the individual states of the Partnership has therefore resulted in the fact that the cooperation rooted in European values had the biggest chance of success in the countries with democracy as a dominant form of governance. This is why, from the very start, the prospects of cooperation with the states such as Lukashenko’s Belarus or Aliyev’s Azerbaijan and application of the Partnership’s resolutions right there seemed poor. The real objective of the Partnership was, however, to show the societies of the former Soviet Union that the route to Western integration – hence the creation of democratic state of law which respects the basic human and civil rights – is actually possible. Signing of an Association Agreement and entering a path of Western structures at least with two or three countries has brought hope for introducing the changes in the rest of the region. This strategy of a gradual change produced , although quite limited, but measurable results. 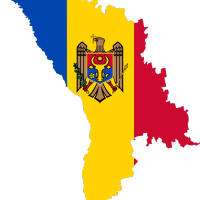 The development of political situation in Moldova shall be seen as a great success. More complicated is the situation in Georgia, where the political struggle has infringed democratic norms of the Western world. The press reported in August that a court in Tbilisi ordered imprisonment of the former President of Georgia, Mikheil Saakashvili, who was accused of power abuses. A former Defence Minister, Davit Kezerashvili, and a former Prosecutor General, Zurab Adeishvili, were faced with similar accusations. After the lost elections of 2013, all three politicians emigrated, what may suggest a pathology of the Georgian political system. Despite those events, both Moldova and Georgia initialled the Association Agreements with the European Union during The third Eastern Partnership Summit in Vilnius on November 28, 2013. This unquestionable success of the process initiated by the Eastern Partnership was, however, overshadowed by the decision of the then president of Ukraine, Viktor Yanukovych. Despite previous declarations made to Ukrainian society and the Western partners, the Ukrainian satrap succumbed to pressure from Moscow and unexpectedly denied to initial the Association Agreement. Neither he, nor Vladimir Putin, who used his entire force on Kiev in order not to allow the initialling of the agreement, did certainly not expect the unbelievable, assertive, magnificent reaction of the Ukrainian society. Protests on Maidan turned out to be the biggest and the most extraordinary mass pro-European movement since Polish Solidarity (Polish trade union). Suddenly it turned out that the Ukrainian society is long beyond the age of sovietization and that it is capable of uniting for the sake of its basic priorities, of fighting for its European chance against the corrupted regime of President Yanukovych, who at the end of his inglorious presidency was behaving in a more and more brutal way. Heroism and steadfastness of this outstanding social movement in the face of aggression of services, trials of violent suppressing of the demonstrations with weapons, was exceptional. It was simply impossible to suppress this protest. The death toll did not break the spirit of Ukrainians, who did not hesitate to sacrifice everything, even their own lives, for a better future, freedom of their country and for European values. The contrast between the social vitality of the Ukrainians and the static, torpid societies of the West is huge. The fall of Yanukovych, who is responsible for ordering shooting to the protesting citizens, the triumph of Maidan and the electoral success of a democratic, pro-West moderate candidate – Petro Poroshenko, did not, however, bring peace. Ukraine has initialled the Association Agreement with the EU but Moscow did not come to terms with the situation in Ukraine. We all know what comes next – the annexation of Crimea and separatists’ and Russian mercenaries’ action in the eastern Ukraine, which has led to the real civil war in Lugansk and Donetsk, and recently also in southern Ukraine. A war which with time becomes an actual conventional war between weak militarily Ukraine and strong (in comparison) Russia, the results of which are difficult to foresee, and which may influence the future of the entire continent. The Western politicians, spearhead by the president of the US and German Chancellor, are so far not able to respond to the brutal Russian aggression in any coherent and promising manner. From the very beginning, the initiators of the Eastern Partnership did not include any place in it for Russia. On the one hand, it might seem natural. First of all, it does not seem possible that a country of the size of Russia could be a member state. Secondly, the policy of Vladimir Putin was becoming more and more aggressive and authoritarian, both internally and externally. 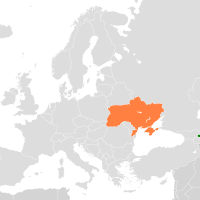 It is worth mentioning that the Eastern Partnership was initiated right after the Russian aggression on Georgia in August 2008 and was clearly opposing the Kremlin strategy of reintegrating the post-soviet territories. The Partnership was a peaceful response to the aggressive behaviour of Moscow. Even the biggest optimist of all could not have predicted at that point the integration of Putin’s Russia with the European Community. 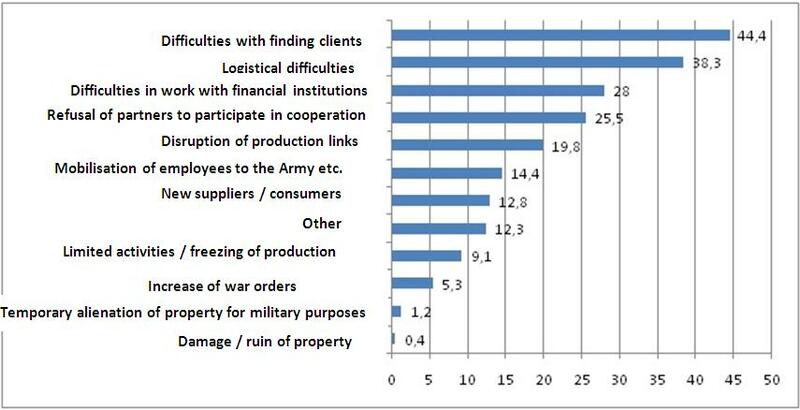 Nevertheless, exclusion of Russia from the Eastern Partnership program was a mistake. After all, the project was aimed at, for example, Belarus, despite the fact that it was obvious that affiliating this country to the Union was simply impossible under the Lukashenko’s regime. However, there was still some hope for a change in the Belarusian ways and a will to at least try to help triggering it, whereas the situation in Russia was deemed a status quo for many decades and this was a big mistake. The West has obviously many arguments for believing that the political situation in Russia will not change in a rationally predicted future. The support for Putin and a specific form of propaganda spread by Russian intellectuals – such as a great writer Victor Erofeyev – who claim that, despite all Putin’s flaws, he is still more liberal than 80 % of the Russian society, just add to this opinion. To create such an atmosphere Kremlin for years used the Communist Party and a xenophobic party of Vladimir Zhirinovsky. This message is aimed at averting the possible desire to confront Putin (as his successor might be worse) as well as discourage from any actions which could enhance a change in Russia (no matter how limited are those possibilities in the face of Russian services’ actions fiercely fighting off any real opposition). 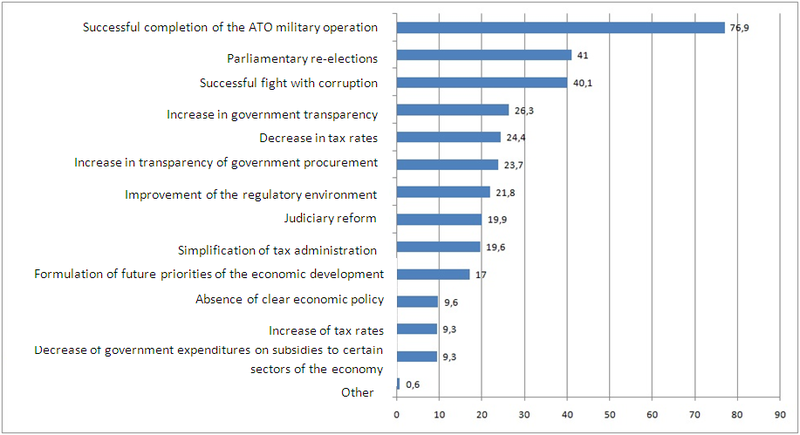 Is, however, a change more possible in Belarus than in Russia? Was any rationally thinking person able to predict Solidarity and the events of 1989? Even though including Russian in the Eastern Partnership was only a mere symbol, it would be better if it took place back in 2008 so Putin and his crew would have much more difficult time building in the Russian minds a paranoid image of Russia as a fortress surrounded by the West. It is Vladimir Putin and his crew who shall be considered a geopolitical enemy, and not the entire Russian society. Russia can not be erased from the maps, geography is unmerciful. Therefore, positive scenarios shall be built also for this country. No dictator lives and rules forever. The essential question is what kind of society will his rule produce and whether democratic society may have any influence on this process? Closing the Eastern Partnership for Russia has definitely limited those – even then small – chances. Today, these historical reflections do not matter anymore but they are worth mentioning as a lesson for the future. Russian behaviour towards Ukraine, violation of international agreements and sovereignty of another state, occupation of a part of its territory, invasion of the Russian army to Eastern Ukraine put the entire Europe in a different position. Now, conventional instruments of the Eastern Partnerships are not enough to secure a transformation according to Western democratic and economic standards for its members, especially Ukraine. Eastern Partnership should not be suspended. Quite the opposite, it shall be enlarged as a consequent and long-term response to destabilization of the region. The Community shall therefore allocate more resources to support the democratic opposition in the authoritarian states of the region – in Russia as well. However, the situation is too serious to expect that such measures will solve the geopolitical conflict in the Central-Eastern Europe. In order to response to Russian action we must understand the way of thinking of a group of people which now rules the Russian Federation. Russian elite consists of people raised by secret services – first KGB, then FSB (The Federal Security Service of the Russian Federation). In their understanding, the geopolitics of the times of Cold War is still valid. They are sensible, cold-blooded politicians who understand the politics of the past, of balance of military powers and not of declarations, which they deem as empty and meaningless gestures. Russians are laughing at European statements, yet another „concerns” of Chancellor Merkel or President Obama. They are laughing at the naivety of the West, which still has some illusions, trying to believe in Russian declarations and promises. According to them, geopolitics means a tough game and getting what is attainable. Vladimir Putin is not joking when he says that he wants to rebuild Russian empire and emphasizes that the collapse of the Soviet Union is the greatest tragedy of the 21st century – those are not just words directed towards internal public opinion, as the West has hoped so far. It is his real plan and he will implement it unless he sees on the other bank of a river a rival who may endanger his project, someone who could stop him. People from KGB play hard and they often play va banque. However, in spite of appearances, they are very reasonable and they will not get involved in conflict, the consequences of which could wipe their power and privileges off the face of the Earth. Putin has decided for action in Ukraine because he knew that he does not risk much – he tries to get as much as he can at the smallest possible expense. He was certain that the West will react only with regret, outrage and some limited sanctions. And a weak Ukraine is not capable of a long-term resistance to, even a limited, Russian intervention. Prolonged chaos is only in best Putin’s interest, who wants to bleed the rebellious nation to death, disgrace the recent authorities and – in a long-term perspective – to get control over the entire Ukraine. Putin’s goal is to incorporate into Russia not only Crimea, but also eastern and southern territories of Ukraine, to take over the country’s military industry (situated on the East) and to separate Ukraine from the sea. Mutilated Ukraine’s territory will be further destabilized and induced into the state of a permanent economic crisis so that exhausted society would eventually turn its back on pro-Western politicians and agree to place in Kiev a puppet government obedient to Kremlin. A similar scenario can be then applied in the following years in other countries of the region. The perception of the geoplitical reality by Russian generals and decision-makers, descendants of the secret services, is simple and rooted in the times of the Cold War. Besides, we may often hear Russian politicians – President Putin included – utter such statements. The first circle of countries surrounding Russian is the so-called Near Neighbourhood, to which Russia claims its right to intervene in internal matters as well as to military intervention (Georgia, Ukraine, Transnistria’s case) and against the will of nations wants to treat those countries as their vassals, subjects which may be potentially absorbed into the Russian Federation. This group includes precisely the countries of the Eastern Partnership, what puts them in an especially difficult position. The second group of the countries consists of the former members of the Warsaw Pact, which joined the European Union. Countries which, according to the Russian way of thinking, were placed under the Western influence for the times of the crisis, but which, in a long-term perspective, are treated as a sphere to be reclaimed and terrorized. An indicator of such a state of affairs is the pressure of Russia on abiding by the agreement between the Western countries while entering of the countries from the region into NATO, which stated that armies and infrastructure of the the North Atlantic Alliance will not appear on the territory of the countries of the former Warsaw Pact. No sane person does take into consideration a military attack on the nuclear power such as Russia. The disposition of the NATO forces in the region may be only defensive in nature. The German and U.S. obsession with abiding by it, in the face of the fact that Russia itself is breaching all international arrangements and agreements, is simply a travesty. We need to remember that Russia was one of the signatory]ies (along with the USA and Great Britain) of the treaty which guaranteed the inviolability of Ukraine’s territory from 1994, when Kiev agreed to transfer its nuclear weaponry to Russia (the so-called Memorandum of Budapest). The attitude of Washington and Berlin without NATO simply encourages Russia to continue its expansion in the region. For Russian strategists, who still are thinking in the categories of spheres of influence, the region of Central Europe is a grey area in which potential intervention is possible due to the fact that there are neither armed forces, nor positioning of NATO on its territory. As we all know, for Russia matter only facts and not words or gestures of friendly guarantees, which were not kept many times throughout the history. If the West does not want to terribly regret its passivity in the near future, it must understand that a cold war with Putin’s Russia is inevitable. Putin himself ruthlessly strives for such a state of affairs. The question is where will the new iron curtain be situated – the later the West wakes up, the more regions, nations and states will be vassalized and subjected to the authoritarian rule of Moscow and the West will have less strength to conduct this new cold war. A new initiative of the Eastern Partnership, a program this time on a completely different scale and different in nature, must be based on two pillars. First of all, continuation of the intensified cooperation within the scope of conventional instruments, used by the Partnership so far, in those countries and regions in which such help is still possible. A new element of such conventional actions shall be an increased financial support of the European Union to the countries facing such fundamental issues as now Ukraine is. Sustaining Ukraine as a well-functioning country is as important for the European interests as rescuing Greece from its enormous indebtedness. Secondly, EU shall together with NATO immediately introduce on the territories of its member states from Central-Eastern Europe significant military allied forces, which in the understanding of Russia would mean a real readiness to defend those territories. This action should not raise any doubts. I am, however, convinced that the Western countries, together with the European Union and NATO, should go further and introduce peacekeeping forces onto those parts of Ukraine, where now there are still no Russian armies, fixing in this way a new iron curtain, after the fall of which Kiev and fundamental part of Ukraine will be situated on the side of democratic forces. Unfortunately, this is probably the only chance for Ukraine not to become a country fully conquered and vassalized by Moscow and for Ukrainians to have a chance to fulfil their aspirations in a democratic and capitalistic state of law, which will respect their natural laws and freedoms. The article was originally published in the first issue of “4liberty.eu Review” entitled “The Eastern Partnership: the Past, the Present and the Future”. The magazine was published by Fundacja Industrial in cooperation with Friedrich Naumann Stiftung and with the support by Visegrad Fund. This entry was posted in REVIEW, Review #1 and tagged 4libert.eu Review, Eastern Partnership, featured, Russia, The Eastern Partnership: the Past the Present and the Future, Ukraine. Bookmark the permalink. 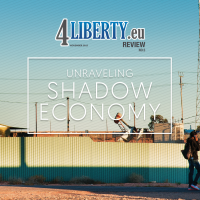 First Issue of 4liberty.eu Review Available in Print!